Hey Hey Ape fans! Talking Apes TV is back with our new ‘SPECIALS’ episodes! Even though we covered both Planet Of The Apes TV series we thought we would now branch out and get to know the people involved in the films, TV shows and from the fan communities. Simian Scrolls include interviews, articles, comic strips and so much more! 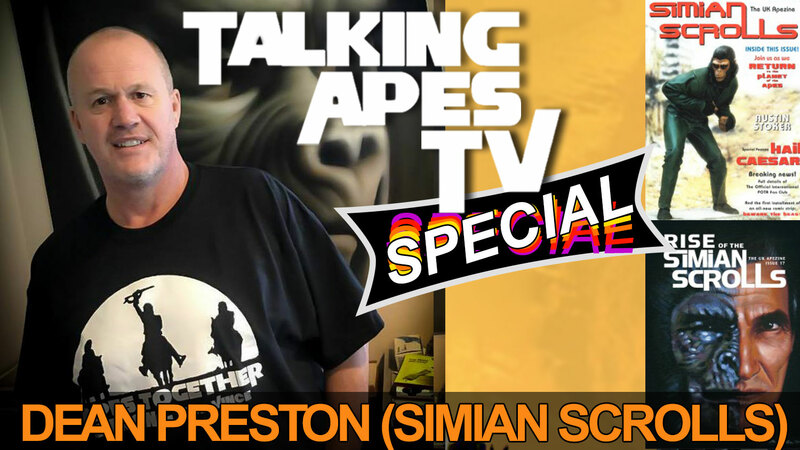 Here with us to talk Apes is one of the Simian Scrolls writer’s, Dean Preston!